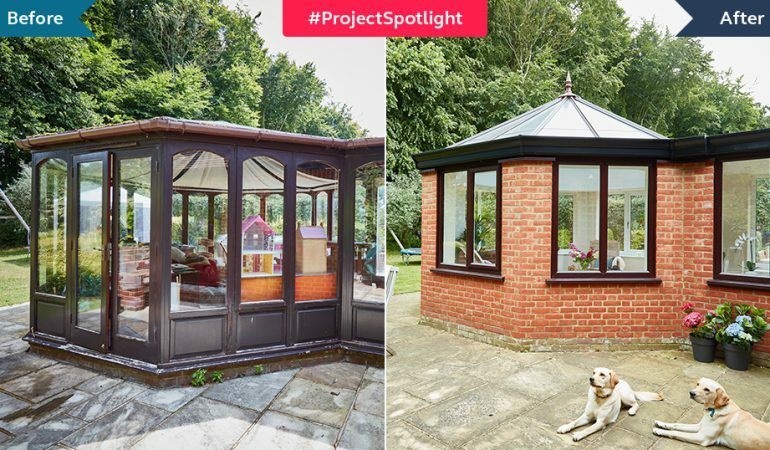 It’s the age-old home improvement dilemma – should I get an orangery or a conservatory? And while we’re firmly in the camp of, they each have their own unique merits, preference outweighs the vast majority of them. 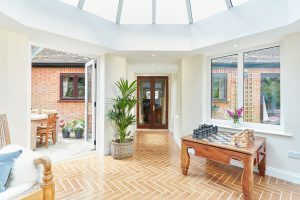 The Evans family had a drafty, outdated conservatory they weren’t able to use many months out of the year, and knew that a brand new, light-filled orangery was the perfect solution. Enter in a living space that’s more of a year-round extension than anything else. The Evans orangery is solid, modern and steeped in natural light thanks to its gorgeous lantern roof, French doors and casement windows. When night falls, there are sleek lights fixed into the orangery’s pelmets to keep evenings out here nice and comfortable. 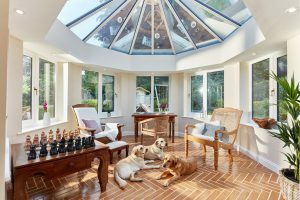 At the end of the day, there’s no denying that an orangery was the right choice for the Evans family. 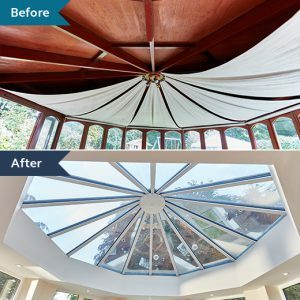 “Before the work, our old conservatory was cold and unusable for most months of the year. “With the new Anglian building, we have a beautiful, light, new room added to the house. 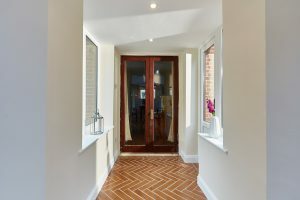 Still unsure of the differences between an orangery or conservatory? We get this question all the time! Check out our blog post for all the information you need.